HiveBoxx | Moving boxes, serving sunny Seattle. | Moving? Rent our moving boxes, save you time and money over cardboard boxes. Call 888-615-2699 to get started. HiveBoxx | Moving boxes, serving sunny Seattle. Meticulously developed for maximum convenience, our durable, water-resistant boxes are delivered to your door and picked up when you're done. You can pack, stack and move without the hassle. HiveBoxx simplifies your moving experience by conveniently delivering our eco-friendly moving boxes to your home or business well before your move date. When you're done moving, we pick them up, hand inspect, clean, sanitize and pass the savings to the next happy customer. Our moving boxes are pre-assembled, crush proof, water resistant, and are designed to maximize storage space and minimize packing time. They're made of durable recycled plastic, that allow movers to stack them easily, load and offload faster, and reduce labor cost at both ends of your move. How do I decide which bundle? We offer six different moving bundles and the ability to add additional equipment if your moving needs fall between one of our moving bundles. Customize your moving needs with HiveBoxx today! If you need help deciding how many boxes to get, we'll help you determine the right amount of boxes and supplies for your upcoming move. Just send us a text to 888-615-2699. How Long can I rent boxes? We rent HiveBoxx Moving Bundles in weekly time blocks, giving you time to pack up before your move and unpack once you get there. If you need an extra week because of an unforeseen delay in your move, don't worry, our rates are hugely discounted for additional weeks. To compare all of our moving bundles, visit our pricing page. More questions? We have answers! Visit our FAQ's page. 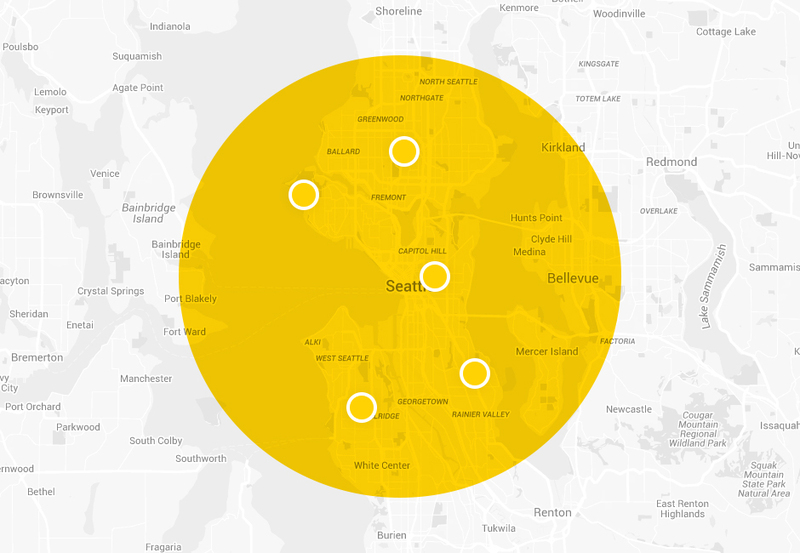 HiveBoxx delivers within a 30 mile radius of the Seattle area. To see if you qualify, text or call us at 888-615-2699. Free Delivery + Free Pickup! Save time and money with HiveBoxx reusable moving boxes. We deliver our boxes straight to your door and collect them once you're done.